Do you want a Coastal Beach House look? 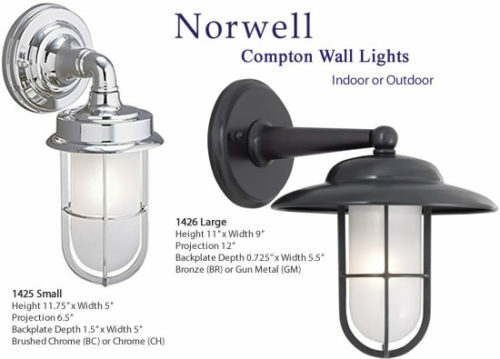 No matter where your house is, used indoors or out these lights work! Here is the lighting they recommended. 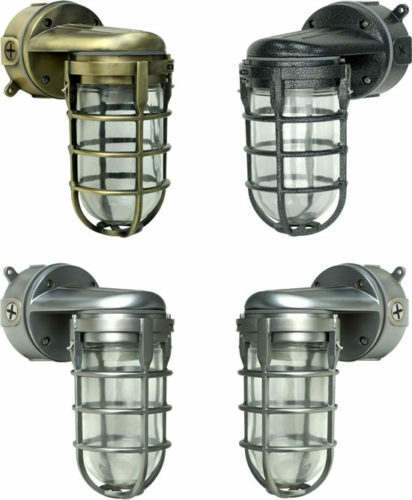 The Compton Wall lamps are inspired by security lights aboard ships and on the docks. Two variations are available in Chrome or Brushed Chrome, Bronze or Gun Metal finish. 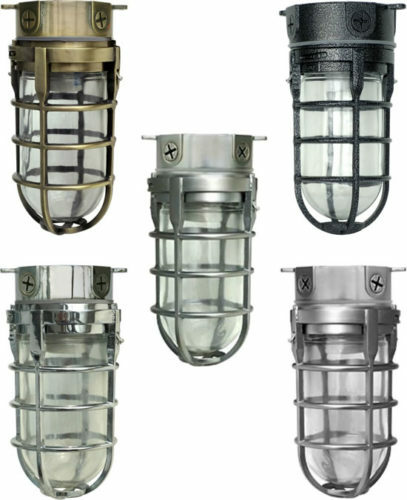 These cage wall sconces are still used in many factories and industrial settings because they are so durable. The bulb is protected by thick glass and a metal cage. They come in wall and ceiling versions. You can buy the original industrial really inexpensively. Reproductions give more finish and style options. They also come as ceiling lights and pendants. 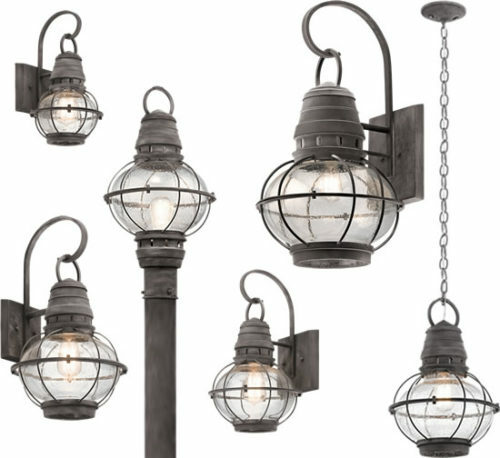 The Mariner’s classic nautical design is the perfect accent for outdoor spaces. 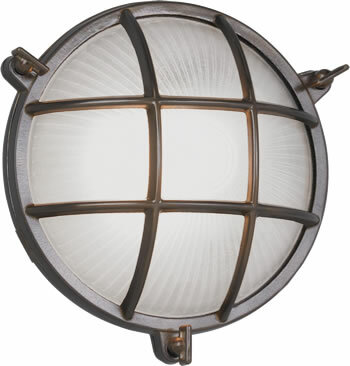 The round shape mimics a porthole but with all the elegance of Norwell. Bulkheads also have heavy glass protected by a metal cage. They come in a lot of different sizes and finishes. Bulk heads come in various shapes, sizes and finishes. Some are more expensive than others. The more expensive ones often have thumbscrews that look great and make it very easy to change the light bulbs. But with as long as the new PL and LED bulbs last, this isn’t a big deal. 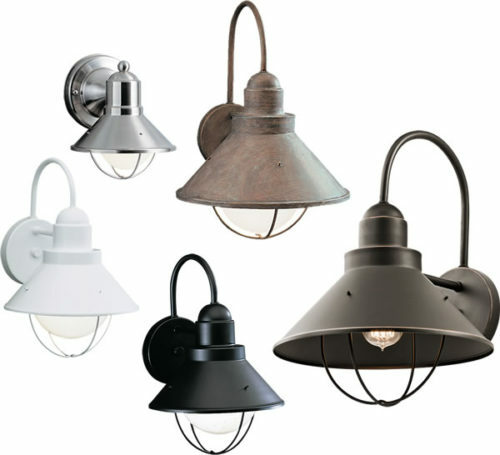 With an aura that is as pure as a sea breeze, the Kichler Seaside Collection offers the homeowner a unique line of outdoor fixtures guaranteed to bring a new identity to your home’s landscape. 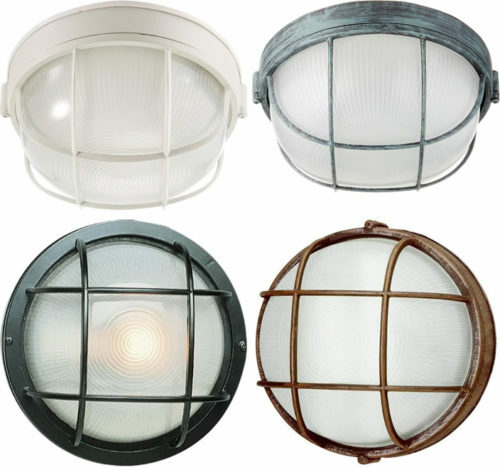 High quality lighting that will look fantastic for years to come. 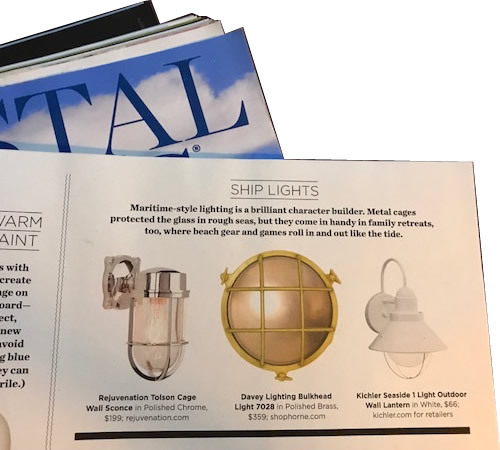 The last style Coastal Living suggests is the Seaside Outdoor Lantern by Kichler. A lot of companies make this style. They are ideal indoors or outdoors. These are less sturdy than the bulkheads or cage fixtures. The cage on these is more decorative. It might protect a little, but it is mostly for looks. Sometimes they come with a glass or plastic lens protecting the bulb, but it is not a thick heavy lens like the industrial bulkheads or cage lights. 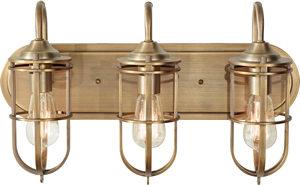 Featuring the rounded shape of an onion, encapsulated by impressively hand-crafted brass, the Cottage Onion Post fixture is an eye-catching piece ideal for entryways and rustic exteriors. The Cottage Onion series includes a small, medium and large sizes and wall-mount options. I’ve got to add my favorite. Onion lanterns are perfect for a beach house. 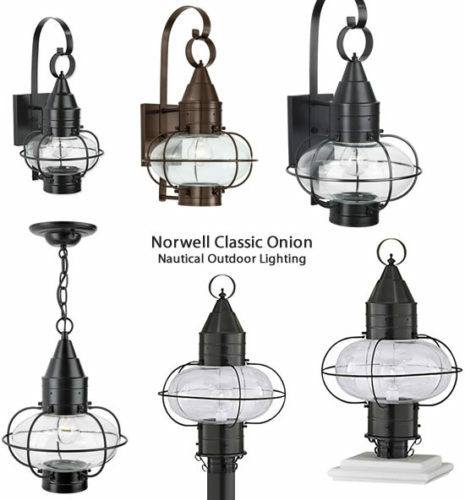 A lot of companies make onion style lanterns. They come in various sizes, finishes and prices. This entry was posted on July 21, 2018, in Beach House, Outdoor Lighting. Bookmark the permalink.